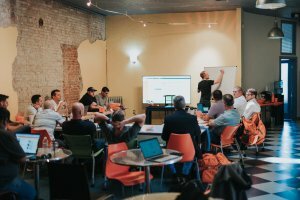 Join Us May 20th-21st 2019 For CarrotCamp – 15 Total Spots 2 Spots Left! We’re proud as heck to announce our next CarrotCamp. What is CarrotCamp you say? Well, we’re never shy here at Carrot to tell you about how much we love our home town here in Southern Oregon… and the amazing lifestyle it affords for those of us okay with a slower pace in life. And over a beer with Carrot team members and one of our clients (Harvey!) on my back deck overlooking the North Umpqua River… the concept was born. You’re already successful in what you do for a career… but ready to up-level your game (both in life and business). You love getting around other high level entrepreneurs to share ideas, things that are working, and your struggles… because every time you do… you always come away with at least one game changing nugget. You love nature and the energy and clarity it gives you... along with the way nature somehow gets you to connect with yourself and your dreams better. You know you can leverage the internet to grow your business more… but you don’t have the time or knowledge to implement it to get the ball rolling. Well, CarrotCamp is a unique mixture of Lifestyle, Masterminding, and Implementation all based here at CarrotHQ and our mountains in the North Umpqua River Valley. First off, this isn’t a vacation and you won’t be lounging by the pool for hours on end. The days at CarrotCamp are structured purposefully to have you engaged mentally throughout the day. We will have fun but come expecting to put in some work. The rough agenda for each of the 2 days is below… check it out. 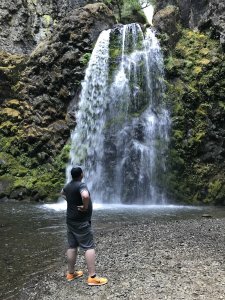 We feel that one of the best ways to connect with yourself and others is by being outside, and you get your best work done when you’re rejuvenated by the clean mountain air here in Roseburg. Mastermind sessions will expand your mind and give you the chance to gain and share valuable insights on life and business. Implementation sessions are where you’ll get to pick and choose which Carrot team members you want to dive in with to have us hammer out work for you while at the CarrotCamp. And each night we’ll all go out to dinner together at local hangouts we love that highlight some of the reasons we love calling the Umpqua Valley home. The great part… is your dinners, lunches, breakfasts, and activities are all included in your CarrotCamp: Spring Edition tuition. Now… Can We Deliver On All Of That? We’re going to surround you with most of the Carrot team (including Adrian, he’s flying out)… and organize things in a way so we do the highest leverage marketing things for and with you during those 2 days so you get back home with new systems and strategy built into your business. 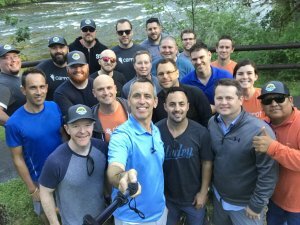 But the biggest thing I want to focus on delivering to that small group… our inaugural CarrotCampers… is a shift in perspective on how to run a company. A shift in perspective on your purpose in life and how to infuse that into your business. A shift in perspective on work-life integration. And a shift in perspective on what the next phase in your life and business can look like. Who Is CarrotCamp Spring 2019 Specifically Designed For? CarrotCamp Spring 2019… is structured specifically for the type of real estate entrepreneur we know we can best serve in this particular setting. If you don’t fit these criteria don’t sweat it. We want to come up with event ideas that cater to newer investors as well in the near future. You are already consistently earning at least 6 figures per year from your own businesses. In this compressed time, we can help amplify what you’re already doing… and that’s what we’re the best at. You haven’t fully dialed in your online marketing strategy and can use our expertise and our team to help accelerate your progress (or you want to take it to the next level). You are healthy enough to be able to get outdoors and do the things we’ll be doing (and want to challenge yourself to start getting outside even more). For CarrotCamp: Spring Edition we’ll be heading just out of town to the North Umpqua River (near Trevor’s house) for some hiking along the river and dinner. Sunday evening we have a special gathering planned to soak in the views at a local winery. You are experienced and have value to bring to the table. This isn’t a coaching program and we don’t want people just coming to “take”. Be ready to share what’s working for you and to be transparent. Also be ready to share your struggles, we’ll help you through them. You understand that one idea, connection, or system can add multiples to your income… and you come in looking for that “one thing” or that “one connection” that can change the game for you. With the caliber of people here, you’ll find it. You may be curious about the inner workings of Carrot… well, we’re an open book and will share anything you want to see while you’re here. Things we’ve never shown anyone outside of our own team and advisors. You’re in it as much for the relationships as you are to get a great ROI. I don’t have fancy cars, planes, or blow money on things like many millionaires do. I collect people. I’m looking for people who also look at the relationship as the most valuable part of the “transaction”… vs. the direct money you earn from it. You’re not afraid to open up and be vulnerable. A core hallmark of our weekly bike rides or the mastermind I run is the most valuable conversations are usually around happiness, impact, and “life stuff”. Don’t come into CarrotCamp expecting to talk about SEO or PPC for 8 hours a day. Yes, we’re going to dial in your lead gen strategy… but most importantly, help you make breakthroughs in life too. You want access to our Carrot team to help you strategize and implement things in your business while you’re here in our office. I know this is going to be a very small, exclusive group of high-achievers that match those points above. But for those lucky enough to get one of the 10 spots, for CarrotCamp Spring 2019… we’re excited to make it an amazing experience that you look back on in a year going… “Man, that was a turning point that really changed the way I look at business and life”. CarrotCamp Spring 2019 isn’t cheap and it isn’t for everyone. We only have 10-12 seats total. Several are already spoken for. As you can see… we’re not making any money on this event. We want to do it because it’ll be a blast. Below is the approximate schedule, it may change as we gauge how to best impact each CarrotCamper and the local weather conditions. May is usually an amazing time weather-wise in the Umpqua Valley. 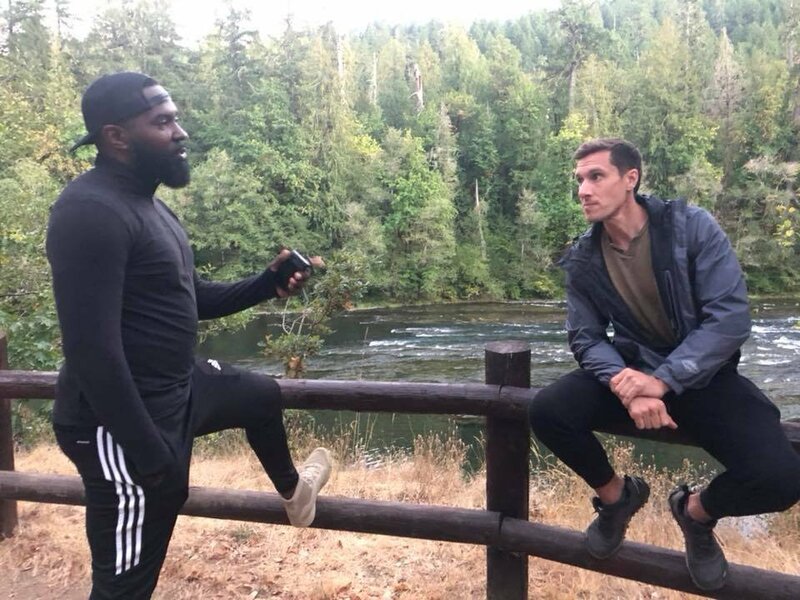 First night of CarrotCamp 2018, Max & Matt (buys 20-30 properties a month) talking strategy and life by the Umpqua River. 🛬 Anytime before 3:00pm Arrive either Sunday or come early and enjoy the area Saturday. 🍻 3:00pm Sunday afternoon we’ll get together a local favorite hangout for drinks, dinner, and fellowship. Be ready for a full, long-day. ⛰️ 8:00am We’ll begin early in the morning at CarrotHQ for an optional workout in our in-house gym w/ our personal trainer. Don’t want to work out? No biggie, arrive at 9am sharp to dive in! 🥕 9am We’ll start with a powerful “Life Optimizing” exercise then dive into Mastermind Sessions. 👱 3:30pm A guest speaker who has been a big impact on me personally. We’ll be up early and home late. 🥕 2:00pm Open sessions for you to leverage our Carrot team to help you “get stuff done”. Join us May 20th-21st in our beautiful hometown of Roseburg, Oregon at Carrot HQ for a 2-day immersive event like none you’ve ever experienced before. Have Questions Before You Join? We know you are going to LOVE CarrotCamp. We are so confident that if at the end of the first day you aren’t getting a ton of value out of CarrotCamp we will refund your money, no questions asked. At the end of the day we know we can provide the value so we are confident in offering this refund policy. – Matt Bristow, MCB Homes Inc.